Victoria is on its way to becoming the second Canadian city to license storefront marijuana dispensaries. 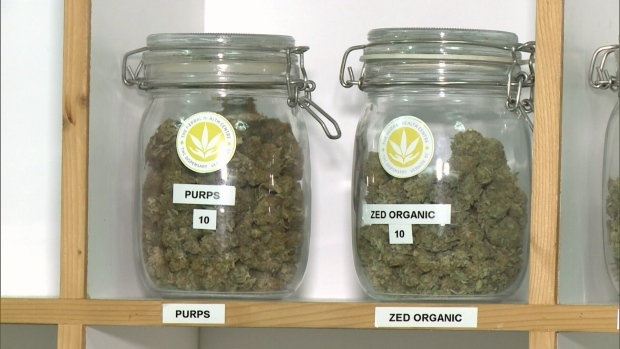 Councillors unanimously voted Thursday to recommend a number of regulations be imposed on the 35 pot-related businesses in the city. The proposed regulations closely mirror Vancouver’s, which became the first Canadian city to hand out licenses to dispensaries last year. But Victoria is taking a different stance than its mainland counterparts on marijuana edibles – which is to say, no stance at all. Helps said it’s up to Island Health to follow up on any concerns about selling edibles at local storefronts, including safety and quality of the products. B.C.’s Provincial Health Officer has previously told the city that he doesn’t believe edibles should be sold because they’re attractive to kids. Can’t operate between 7 p.m. and 8 a.m. Applicants will have to pay between $4,000-$5,000 for a year license plus a one-time rezoning application fee. It’s a far cry from Vancouver’s $30,000 price tag, but Helps said that’s because that city operates under different rules under the Vancouver Charter and can charge whatever it wants. Fines for rule-breakers are still being worked out by city council, as are other legal measures if a store is in non-compliance, she said. But some in the marijuana industry criticized the proposal that storefronts cannot operate within 200 metres of each other, saying it would cause an unfair race to get licensed first – or get shut down. The official zoning bylaw is expected to come into effect next month and could result in several closures immediately, according to city staff. Earlier this week, Vancouver shut down 22 pot-related businesses and handed out 44 violation tickets totaling $11,000 in fines to stores that did not undergo the licensing process. Canadian health minister Jane Philpott recently told the United Nations that Canada would introduce legislation in Spring 2017 to legalize marijuana. 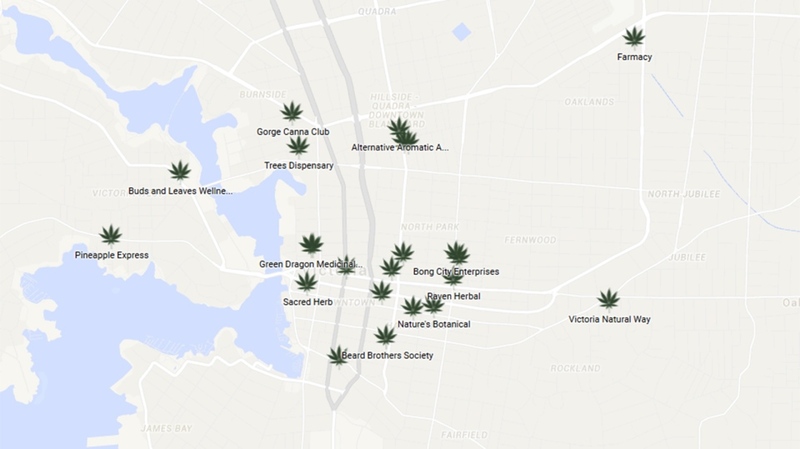 A map of medical pot dispensaries currently known to be operating in Victoria, B.C.